Bill is originally from Texas and has lived in Boise now for 21 years. Bill’s experience in yoga has been intermittent for the past 30 years. He was both a runner and a weightlifter and used yoga for therapy, flexibility, and relaxation. Bill is a graduate of Shanti Yoga School’s 200 hour teacher training program and is a registered teacher with the Yoga Alliance. He is presently a student in Shanti’s 500 hour teacher’s training program. 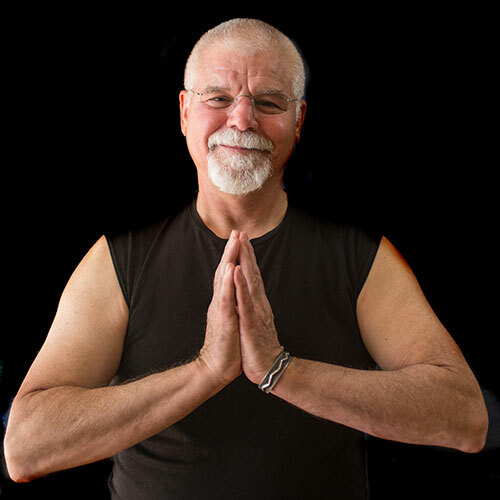 Bill’s training and practice is grounded in solid biomechanical principles and study of foundational yoga scriptures that follow the lineage of Krishnamacharya, T.K.V. Desikachar, Gary Kraftsow, and Erich Shiffmann. He has attended many workshops within the past year, including those taught by: Julian Marc Walker, Sara Ivanhoe, Jo Tastula, and Noah Maze. His personal practice and self study education includes Viniyoga for Wellness and Yin Yoga. Bill is an avid “spiritual seeker”. He incorporates and teaches the eight limbs of Patanjali’s “Yoga Sutras” and their practical application to our everyday lives within his practice of yoga. When Bill is not on his mat, he enjoys time with his wife, children, and grandchildren. Bill is also a practicing Landscape Architect in Boise.